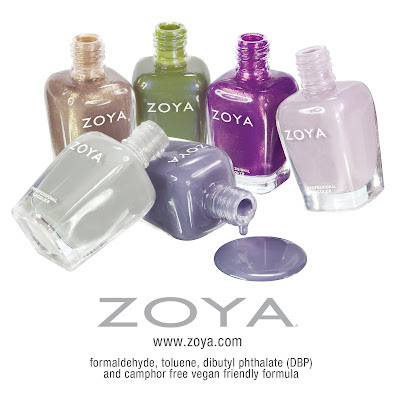 Never Enough Nails: Zoya Intimate Collection Available January 15! Don't forget the Zoya Intimate Collection will be available on January 15 at Zoya.com! It looks pretty. I, of course, really like the green! Zoya says "The Zoya Intimate collection was designed to recreate the custom looks developed for and inspired by the runways of New York Fashion Week - Spring 2011." What do you think about this collection? Will you be getting anything?